The Columbus, in her original Dominion Line livery. 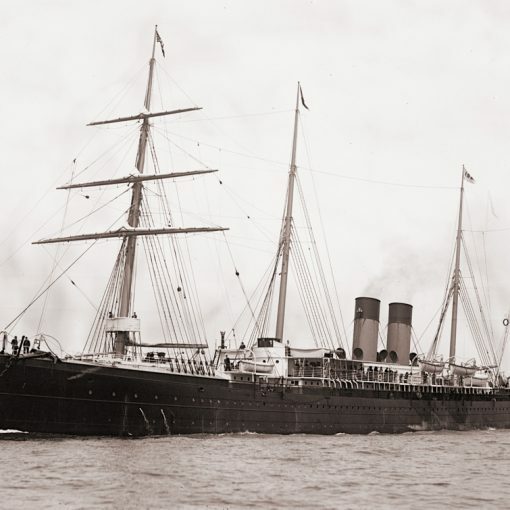 The Columbus stayed with the Dominion Line only for a short while before she was transferred to White Star and renamed Republic. 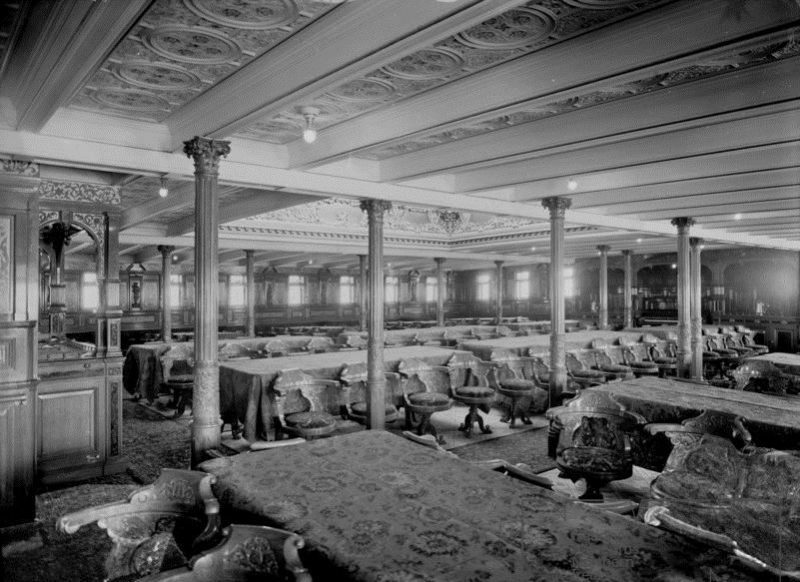 First class dining room on board the Republic. A colour postcard of the Republic. The Republic sinking by the stern after having been hit by the Lloyd Italiano liner Florida. At the beginning of the 20th century, many of the most interesting ships on the North Atlantic were not British. They were from Germany – either from the illustrious Norddeutscher Lloyd or the distinguished Hamburg-Amerika Linie. The speed queens were the Norddeutscher Lloyd’s expanding Kaiser Wilhelm der Grosse-class which had entered the race in 1897. When the class was completed in 1907, N.D.L. had four sisters for a fashionable express-run over the Atlantic. The Hamburg-Amerika Linie also had a greyhound in their Deutschland who held the Blue Riband for many years in the beginning of the century – paying the prize of vibration and unpopularity. 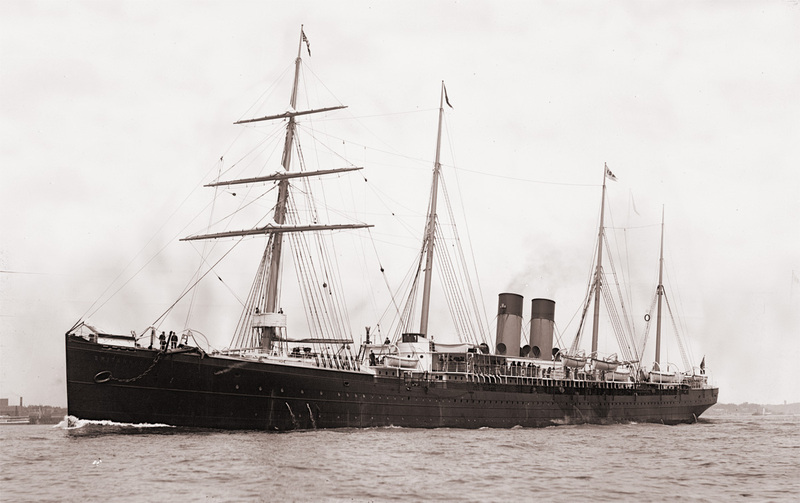 The British had left speed temporarily and invested in large, steady and reliable ships such as the White Star Line’s Big Four-class, which began in 1901 with the 21,000-tonner Celtic. The Cunard Line had been totally outmanoeuvred, and could only boast the ageing Campania and Lucania as their prime ships. But it was not only the flagships of the shipping companies that were of importance. Several smaller vessels made the backbone of every eminent line. In the beginning of the 1900s, the British Dominion Line commissioned a 15,000-tonner they intended to name Columbus. Not being a rival, the White Star Line admitted the Dominion-liner to be constructed at Harland & Wolff’s shipyard in Belfast. The agreement between the White Star Line and Harland & Wolff consisted of that no rivalling company to White Star should be able to have their vessels constructed at Harland & Wolff. In return, all White Star ships were built at Harland & Wolff. On February 26, 1903, the Columbus was launched into the River Lagan, and on September 9, she was handed over to her owners. The ship was just above 15,000 tons and did not exceed 600 feet in length. The service speed would be around 16 knots. The Columbus was soon ready for her maiden voyage and on October 1, she made her first trip between Liverpool and Boston. 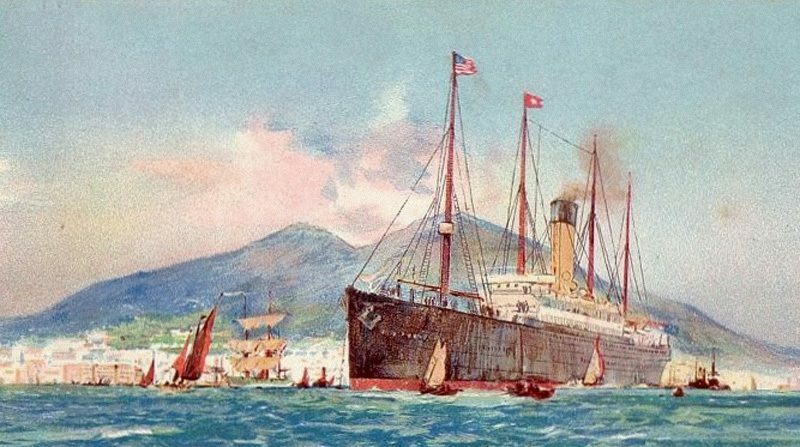 Just as the White Star Line, the Dominion Line was part of the ever-expanding International Mercantile Marine, controlled by the American J. P. Morgan. After having entered service in the Dominion Line, the I.M.M. management thought it better if the Columbus would join the White Star Line instead. The route would be the same. 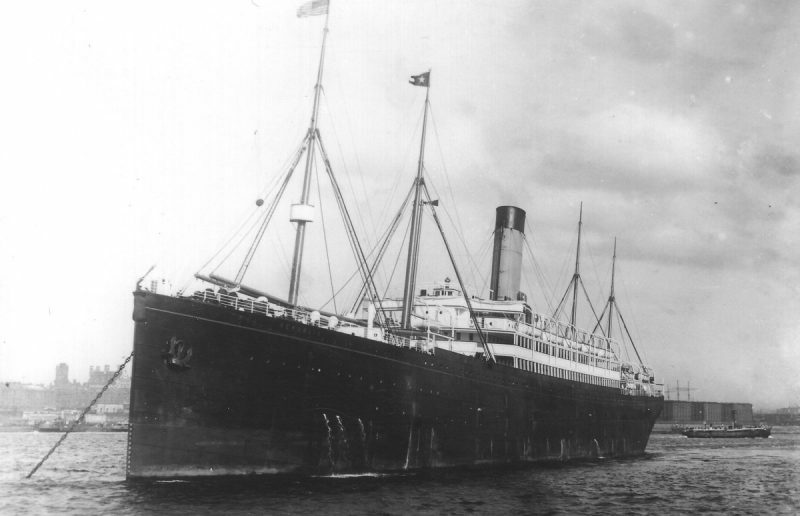 So it was, and on December 3, 1903, the vessel made her first voyage for the White Star Line as the new Republic. 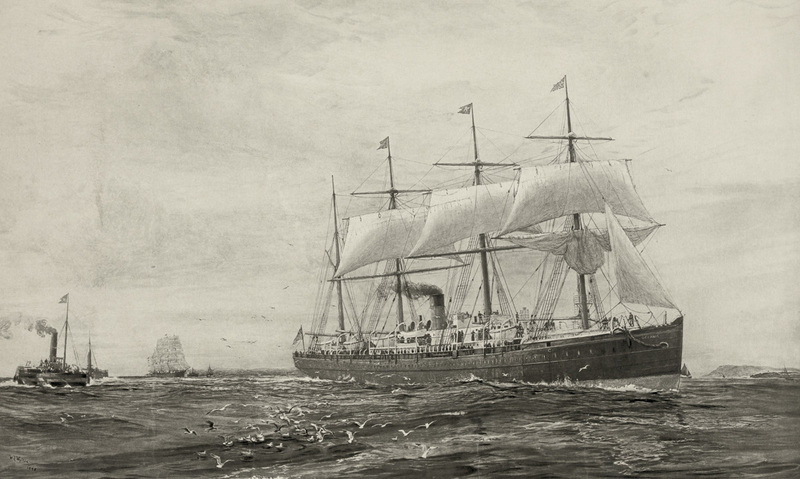 The Republic continued on the Liverpool-Boston passenger trade route until 1904 when she was transferred to the New York-Mediterranean run for cruising. The Republic continued to serve the cruise-passengers until the end of the decade. 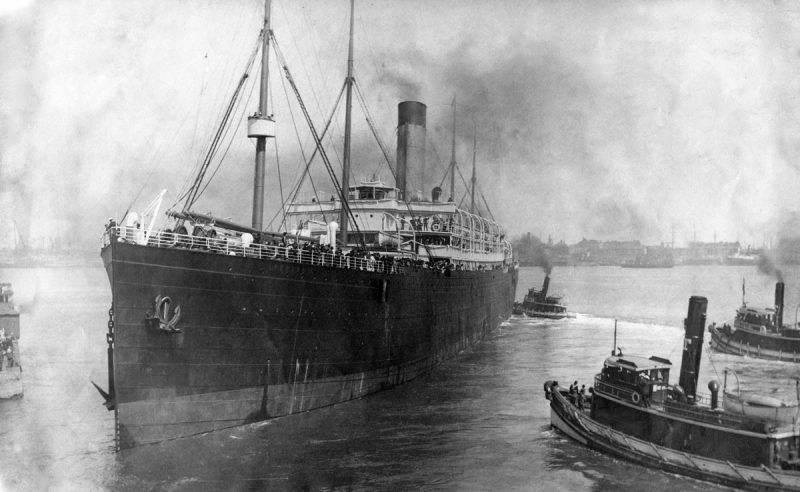 The last voyage the Republic would ever do started at New York harbour on January 22, 1909. She left with 525 passengers and 297 crewmembers bound for Naples via Madeira. Close to six in the morning the next day the ship was surrounded by thick fog 175 miles from the Ambrose Lighthouse. With no modern equipment ship captains of today are used to, the Republic’s commanding officer Captain William Sealby had given the order to slow down marginally. To further ensure himself and his ship of safety, the ship’s whistle was ordered to be blown in at close intervals to inform other vessels of the Republic’s presence. The Lloyd Italiano steamer Florida, inbound for New York was at this time very close to the Republic. She had failed to be alerted in spite of Captain Sealby’s efforts, and at nine minutes to six the Florida accidentally rammed the Republic. She struck the British vessel’s port side just aft of midships. The Republic’s engine room immediately started flooding. Still unused in history before, Captain Sealby ordered the radioman to use his Marconi wireless station and call for assistance. The international distress signal C.Q.D. was sent out in the air for other vessels to pick up. One of the first things that happened after the collision was that the Republic’s lights and all other power went out. The Marconi-man Jack Binns had to use the extra-power. The Florida had drifted back into the fog after the collision, and did not seem to be contactable. However, there were many other ships in the vicinity. 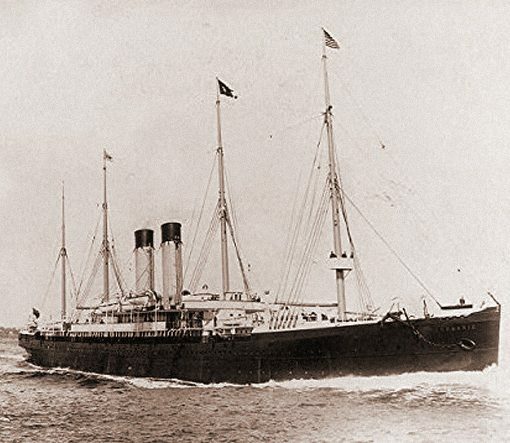 The White Star liner Baltic at 23,000 tons was the world’s fifth largest vessel at the time, and as soon as she got the message from the Republic she steamed on into the hazardous fog. 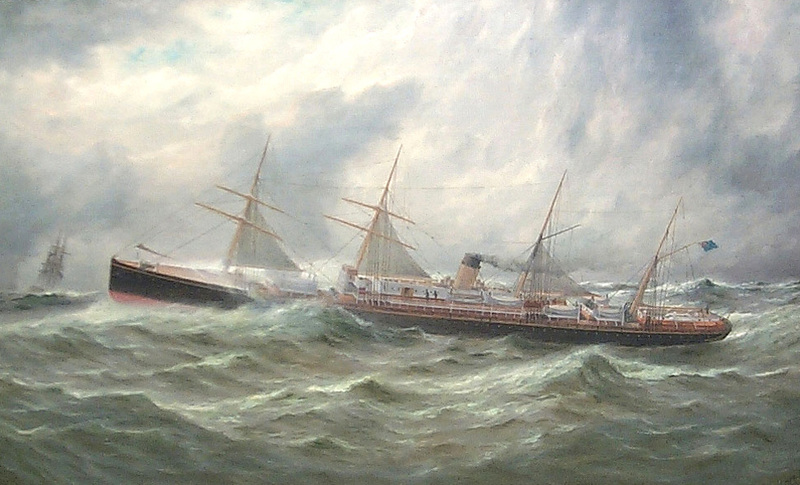 The Cunard Line’s former Blue Riband champion Lucania also sped towards the stricken liner, as did the Inman & International liner New York (the same vessel that almost stopped Titanic on her maiden voyage three years later). But before any of these vessels reached the disaster-site, the only ship that could help the alarmingly listing Republic was the Florida. The ship seemed to remain afloat after the impact and turned towards the Republic after having been sounded. On this winter-voyage she carried about nine hundred Italian emigrants to the Americas. When she arrived back to the Republic, the transfer commenced. Almost full at the beginning, the Florida became dangerously overloaded when almost eight hundred extra passengers stepped aboard. The Republic settled slowly, stern first, and when the transfer to the Florida had been finished, only Captain Sealby and 46 members of his crew remained on the poop deck. The captain still hoped his ship could be towed to safety. The Baltic had on her way to the Republic lost herself in the dense fog. When she finally arrived to her fleet mate she found her almost derelict, and a smaller Italian liner crumpled and overloaded. The Baltic immediately took on board both the Republic’s and the Florida’s passengers. This was not an easy task, though. When all the children had been transferred, the English first-class men took their turn before the ‘Italian trash’ – whether man or woman. The Italians were outraged and almost rioted, but ‘discipline and the privilege of class were upheld’, as reported at the time. An American Coast Guard Revenue Cutter, the Gresham, arrived the next day on the scene, which now had become a gathering-spot for many ships. She attached a line on the Republic and intended to tow her to safety. But at 8.25 p.m. the Republic started to settle rapidly and landed on the ocean floor 34 fathoms below. She sank so quickly that Captain Sealby and his men had to be taken from the water. At the end, only four lives were lost, due to the impact. The Florida was escorted to port by the New York. She was later sold for £40,000, after having been repaired, and the Lloyd Italiano Line used the money to pay the White Star Line. They had sued Lloyd Italiano for the collision and won the case in court. 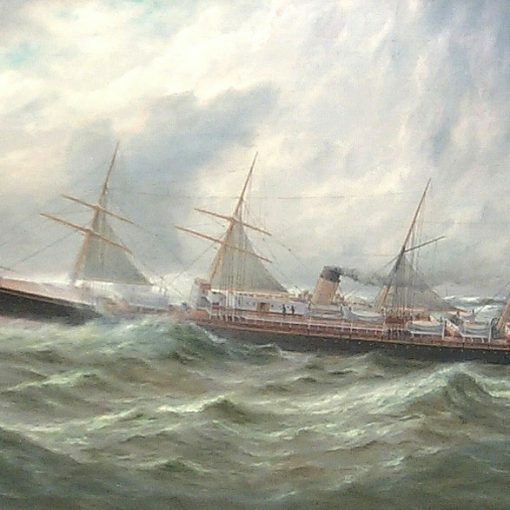 In 1909, the loss of the Republic was the largest ship-loss ever. 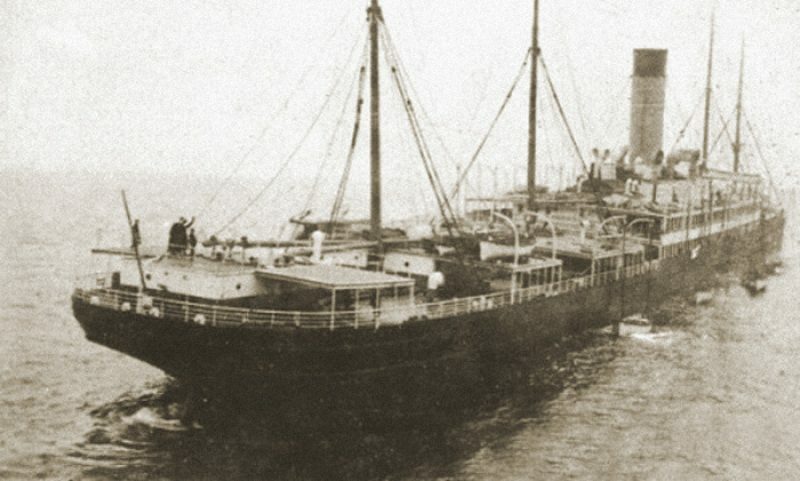 Instead of increasing the safety of ships, the self-confidence of the shipping lines grew; it had taken almost two days for the Republic to sink, and almost one hundred percent of the people on board had been saved. This was due to the Republic’s twelve strong bulkheads and the assistance of nearby vessels. An increase of ships’ lifeboats did not seem necessary. But fate would ultimately prove different. In 1912, a similar collision between an iceberg and a large ship occurred. The ship had sixteen strong bulkheads, but unfortunately there were no vessels nearby, and the lifeboats were not sufficient. 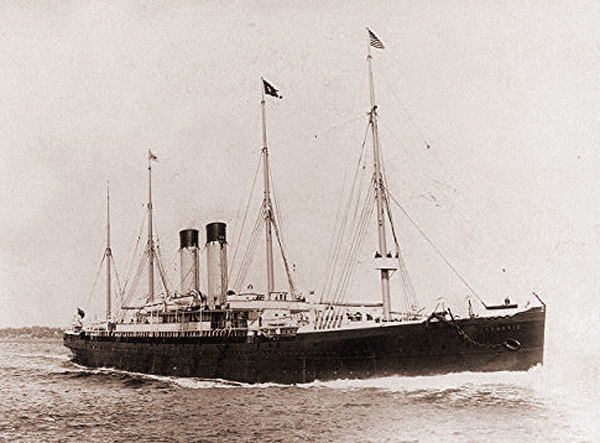 1871 – 1896 / Built as one of the finest ships on the North Atlantic of her time, the Oceanic is particularly noteworthy for being the first steamship of the White Star Line. 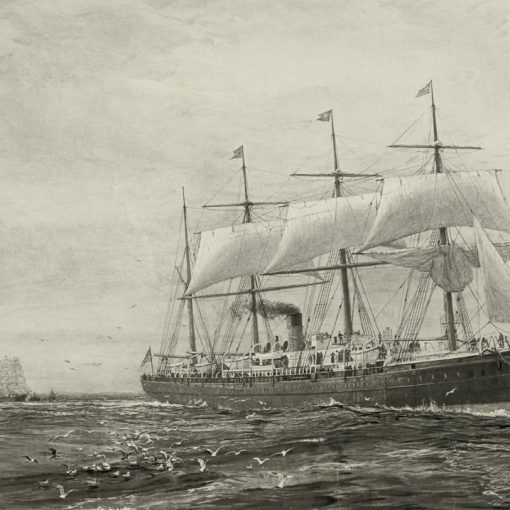 1872 – 1899 / An early vessel in the White Star fleet, the first Adriatic was also the company’s first winner of the Blue Riband. 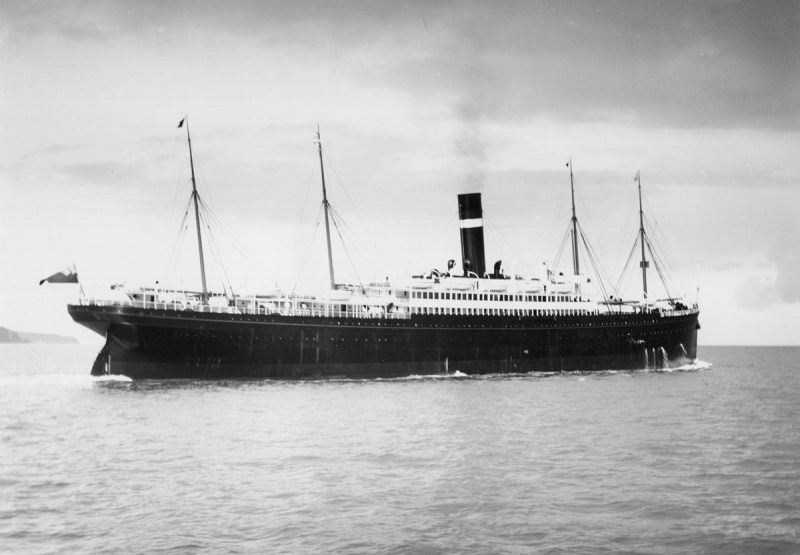 1874 – 1903 / Another Blue Riband champion of the White Star Line, the first Britannic remained with the company for nearly 30 years before being sent to the scrappers. 1875 – 1950 / Also known as Ottawa, Gul Djemal and Gulcemal / A rare speed queen of the White Star Line, the Germanic had an unusually long career and survived two world wars.